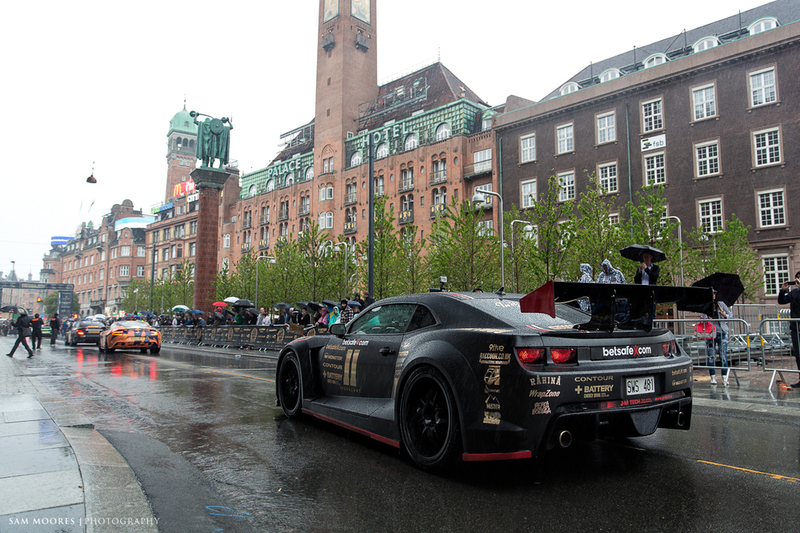 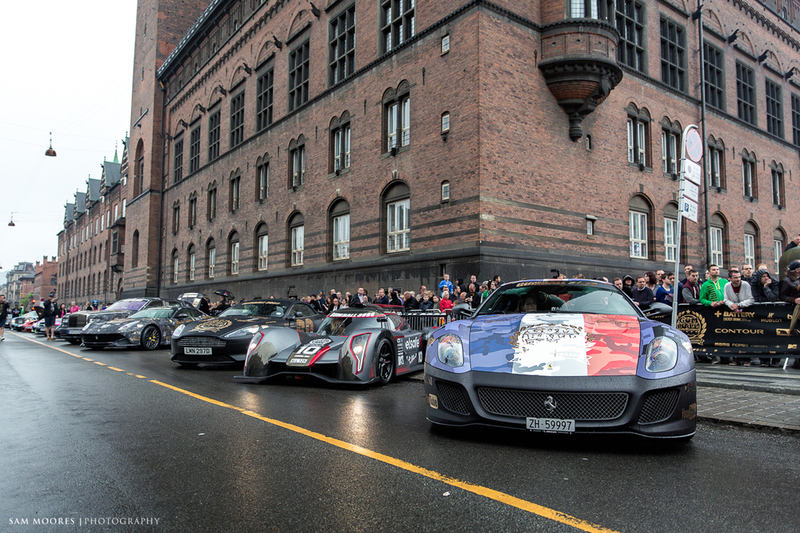 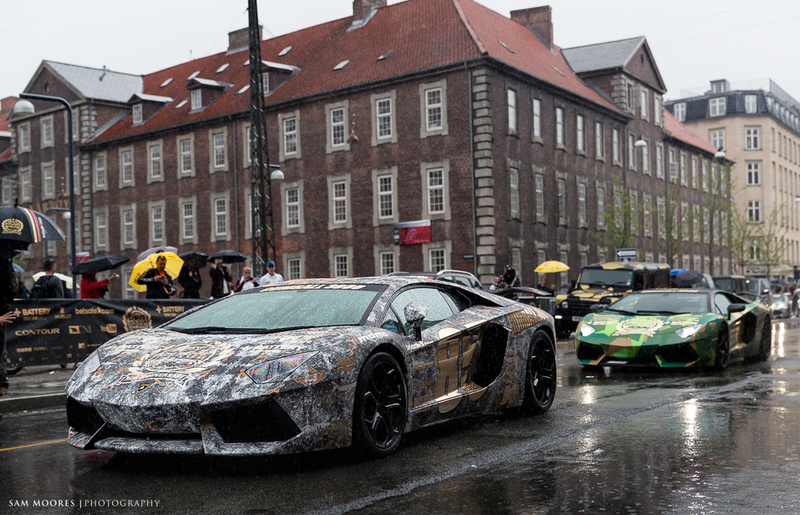 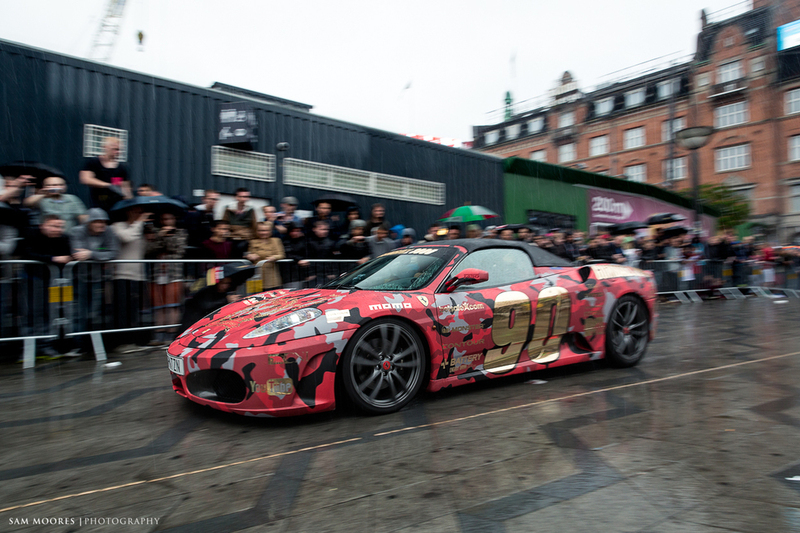 So the Gumball 3000 this year kicked off in Copenhagen in the absolute pouring rain. 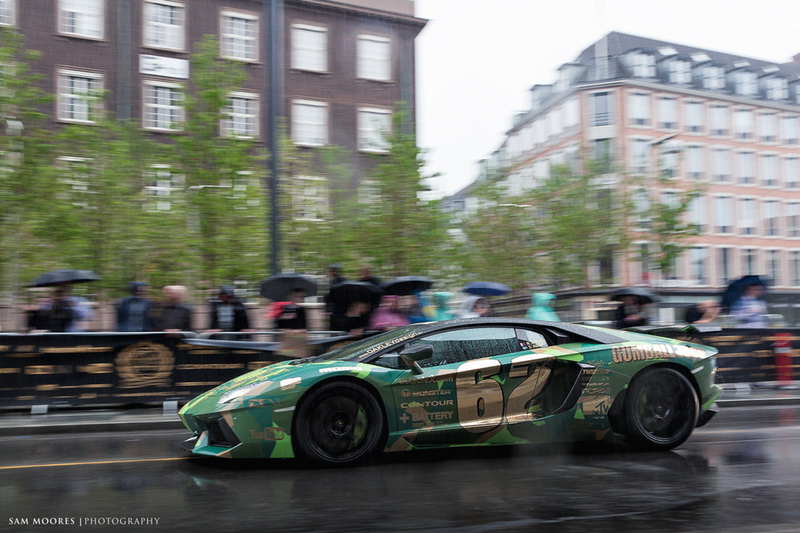 Armed with 2 cameras that are meant to be pretty weather sealed I stood outside in the rain for a few hours to capture the action..turns out they aren't as weather sealed as I hoped (although this is possibly because they were hanging upside down on my black rapid) and first the 7D stopped working then the 5D finally buckled when I jumped back in the car to head off (with hindsight I should have put it in a plastic bag to stop the condensation forming inside the camera). 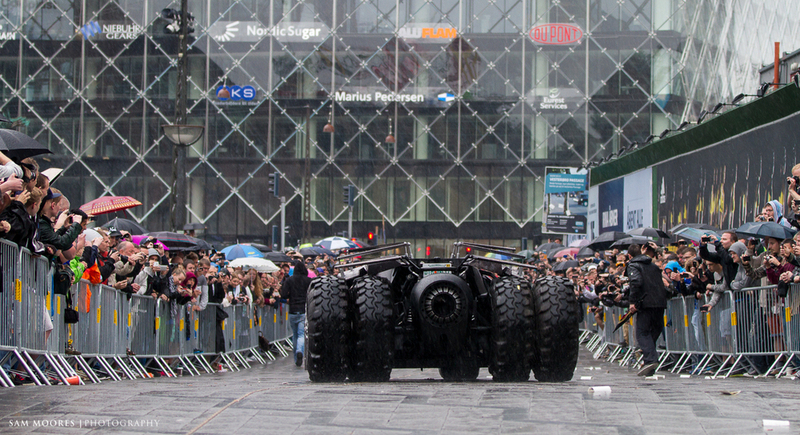 Anyway they both eventually started working again and here are the pictures.